The City of Scottsbluff has been selected by the Nebraska Forest Service as a member community in the Greener Nebraska Towns (GNT) Program. This program is designed to improvethe long-term sustainability of member communities. Scottsbluff will be receiving a total of $55,000 in grant funding, $30,000 of which will be allocated to tree planting, and $25,000 of which is to be spent on waterwise landscaping and stormwater management. 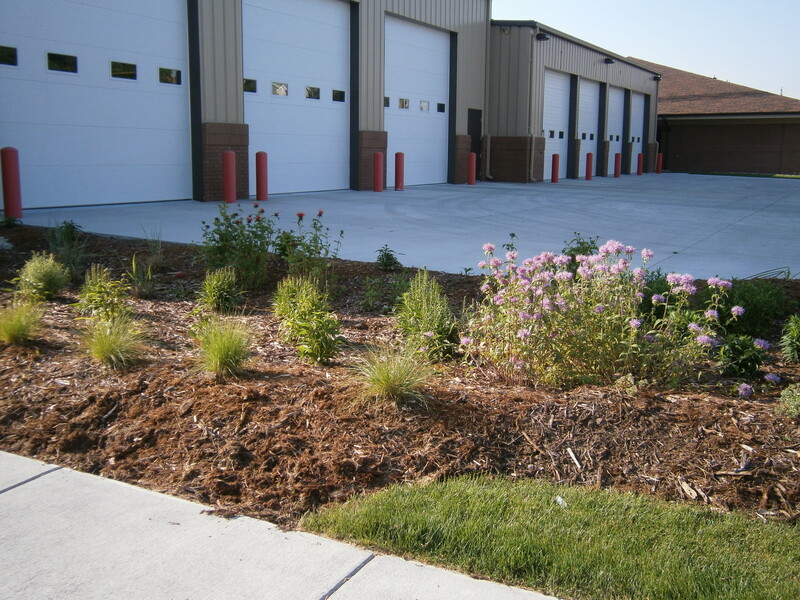 We will be implementing demonstration projects that incorporate sustainable landscaping, tree planting, and stormwater best management practices, such as rain gardens, bioswales, and porous pavement. We will also be working with residents to plant trees and improve irrigation efficiency. Stay tuned to hear more about everything that we will be undertaking as part of this initiative! Note: This post describes the rain garden demonstration project which was installed in Scottsbluff in July 2010 with the help of the UNL Extension Stormwater Team. The garden is located on the corner of 19th Street and Avenue B. 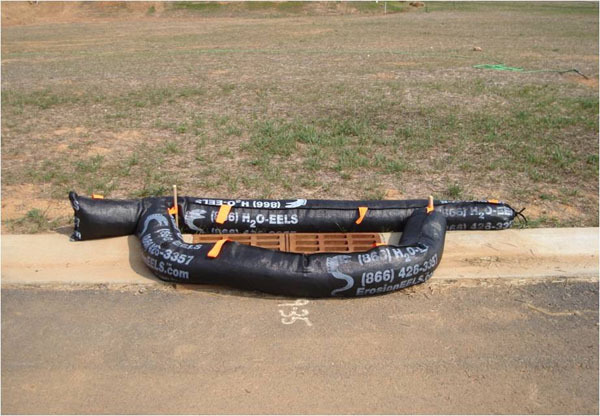 Review your home for stormwater handling. If your gutter, downspout, driveway or deck directly discharges into a water body, retrofit it by redirecting the runoff onto a grassy area or installing a berm/swale system. Or even install a Rain Barrel. Design your landscaping to limit water use. 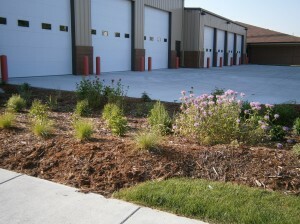 Install a Rain Garden. 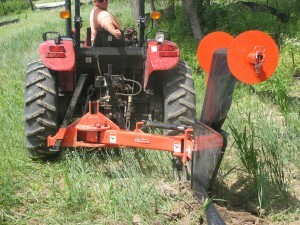 If you have an irrigation system, make sure it is in good working order and limit its use to actual watering needs. Install rain sensors into your irrigation system. 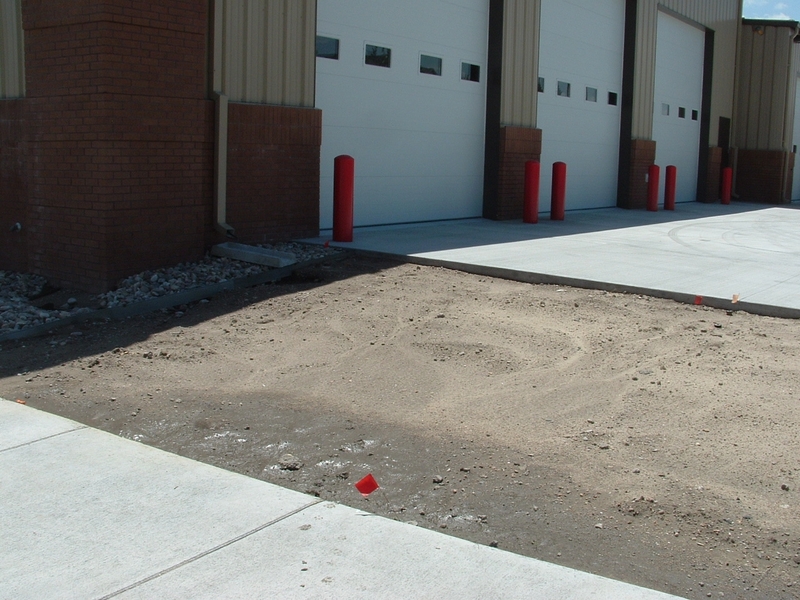 Consider replacing impervious surfaces like sidewalks, decks and driveways around your home with more pervious materials or methods like mulch, turf block, pervious concrete or clean stone. Retain shrubby vegetation along waterfronts to prevent erosion and help stop heavy rain sheetflow. Never dispose of oils, pesticides or other chemicals onto driveways, roadways or storm drains. The next rain will either carry it into a surface water or help it soak into our drinking water. Reduce the amount of fertilizers, pesticides and herbicides you apply to your lawn and landscaping. What the plants can’t absorb quickly usually results in surface or groundwater pollution. 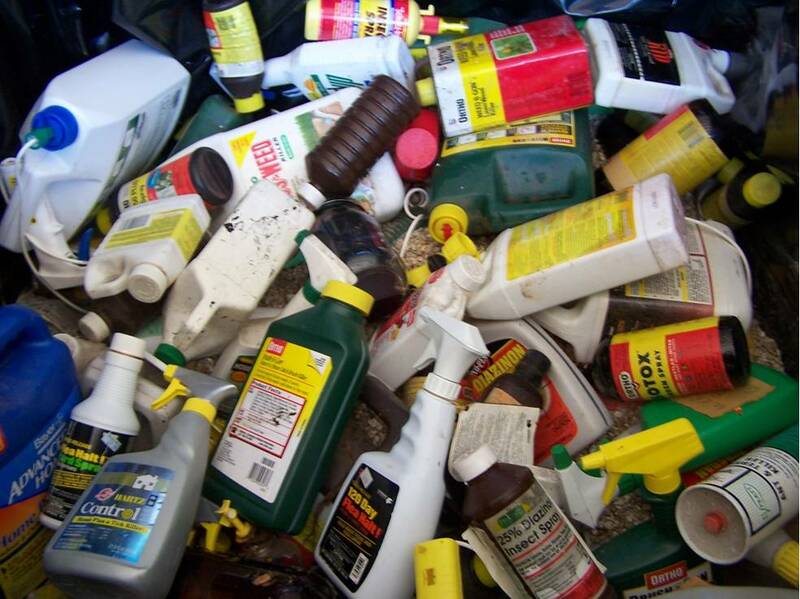 Use environmentally friendly cleaning products — and continue to dispose of them in the proper manner. Educate friends and family on the importance of proper waste disposal. Litter disposed of in a storm drain can choke, suffocate and disable aquatic life. Dispose of your litter by throwing it in a trash can or recycling it. In addition, do your part by properly disposing of litter you find in the street or on the sidewalk. Washing your car in the driveway creates a runoff of soap and other chemicals that ends up in the nearest storm drain. You can either take your car to a self-service car wash, which is designed with special drains for proper disposal, or wash your car on your lawn. The dirt below will act as a filter for the soap. A rain garden is a garden of native shrubs, perennials, and flowers planted in a small depression, which is generally formed on a natural slope. 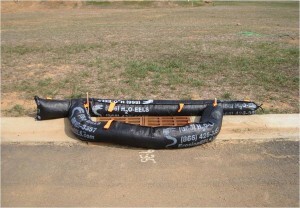 It is designed to temporarily hold and soak in rain water runoff that flows from roofs, driveways, patios or lawns. 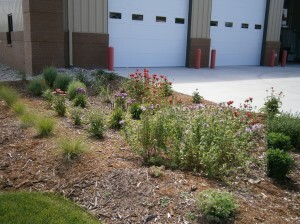 The same rain garden a couple of months later. 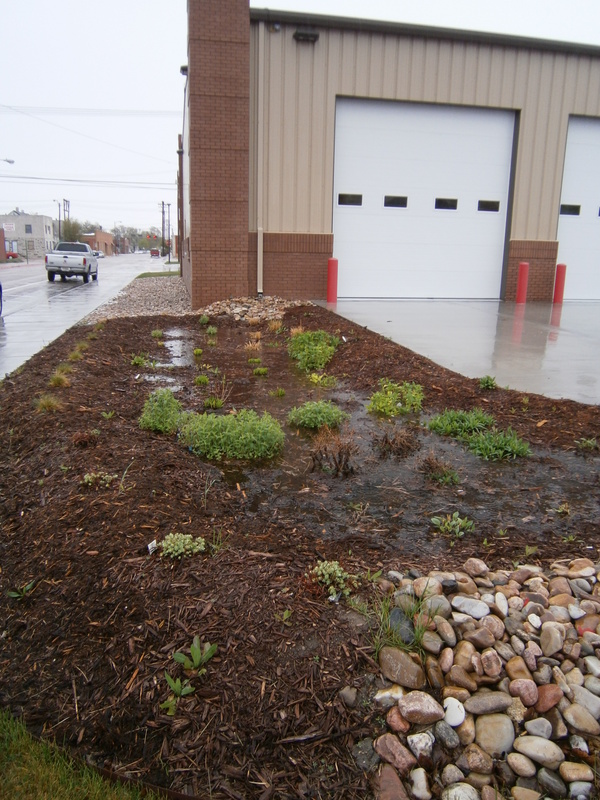 This rain garden catches runoff from the roof and gives it time to soak into the soil, where the plants will be able to use it.